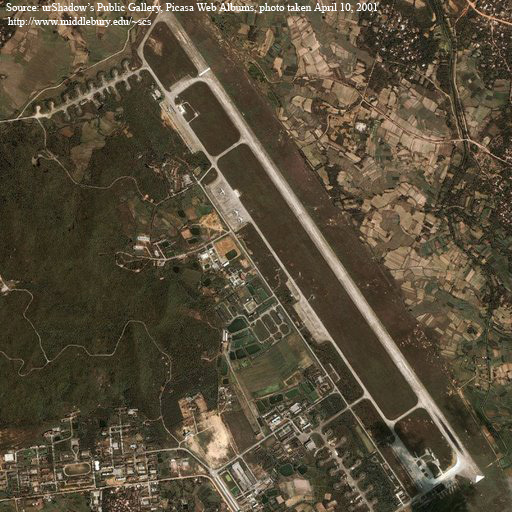 Satellite image of the Lingshui airfield on the southeastern coast of Hainan Island in the South China Sea. Photo taken April 10, 2001. Malay Pirate, 2004. Published August 17, 2011 at 512 × 512 in Photos.